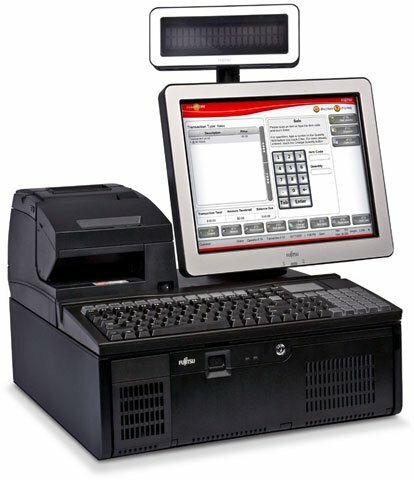 Providing retailers the optimum price/performance fit, the Fujitsu TeamPoS 3600 Series comes in a wide range of processor scalability ranging from the Intel Celeron 440 processor up to the most powerful Intel Core2 Duo processor available. Intel vPro technology provides enhanced security, remote manageability, and industry-leading performance. Intel AMT technology allows IT to better discover, heal, and protect their networked computing assets. Versions include the TeamPoS 3604 and TeamPoS 3627. The Fujitsu RQ11340UW06000U is also known as FUJ-RQ11340UW06000U	.